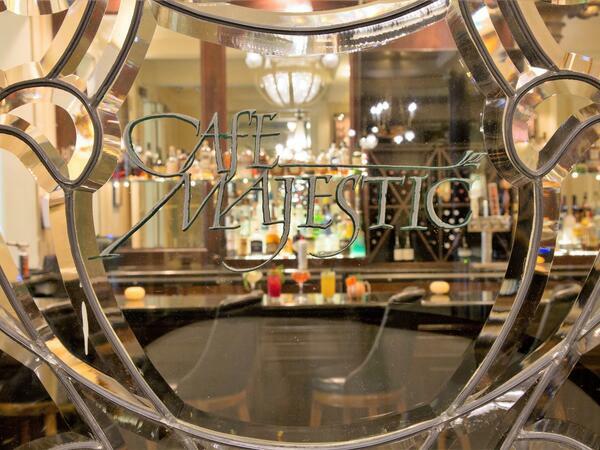 Befitting our status as one of the most romantic hotels in San Francisco, the Hotel Majestic is the proud home to the enchanting Café Majestic. With an intimate seating capacity of 72, Café Majestic serves a hot American-style breakfast buffet and classic Italian and American cuisine for dinner. Our Sunday Brunch menu includes an assortment of Eggs Benedict dishes, egg specials and traditional breakfast dishes complemented by Bloody Marys and mimosas. We offer valet parking for Café Majestic and Butterfly Lounge patrons at a nominal fee of $10.00. For special events, our parking fee is $15.00 per vehicle for up to five hours.